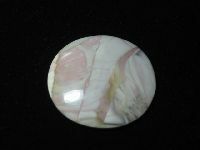 Go to CABOCHON INDEX, LARGE STONES, PAIRS, PREVIOUS, HOME. We charge one shipping cost for all that will safely fit in a Small Priority Flat Rate box and will ship to the U.S. as well as Internationally. If your order requires additional shipping, we will either contact you before we ship, or you can email us for an invoice. Thanks! 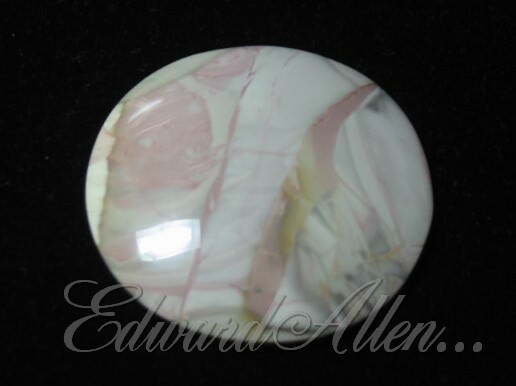 This is a Willow Creek Jasper cabochon, with nice egg patterns, and soft shades with a hint of blush in it. 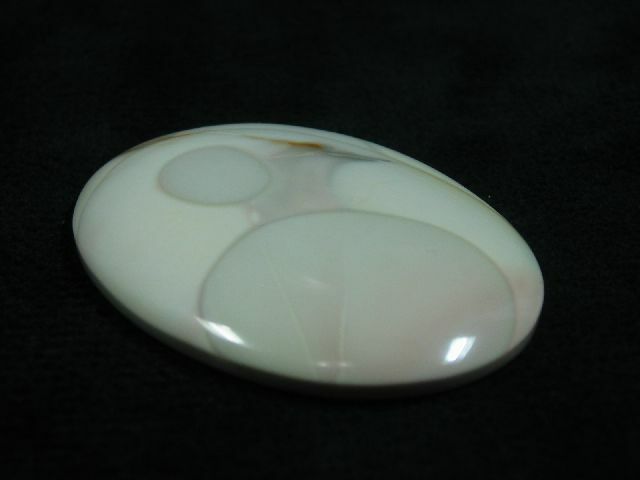 It is 52 x 37 mm and 6 mm thick. It weighs approximately 90 carats. Very neat cab! First Class shipping available upon request. 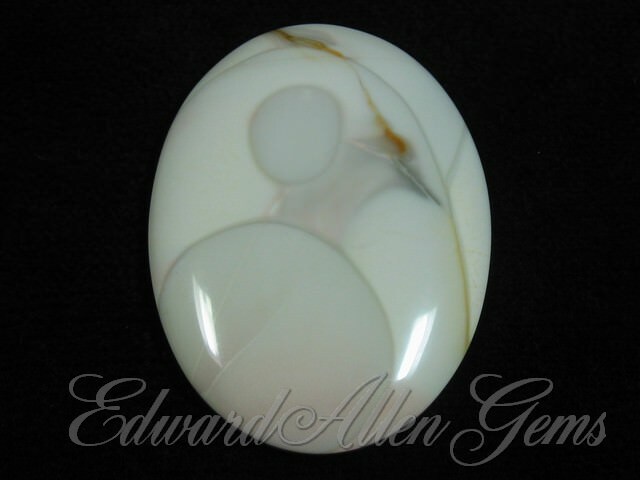 This is a cabochon cut by Ed from a piece of Willow Creek Porcelain Jasper from Idaho. 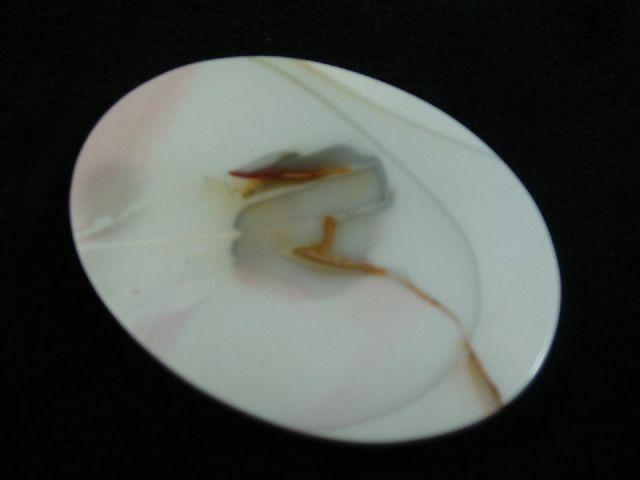 It is just under 32 mm in diameter and 6 mm thick. It weighs 56 carats. First Class shipping available upon request. 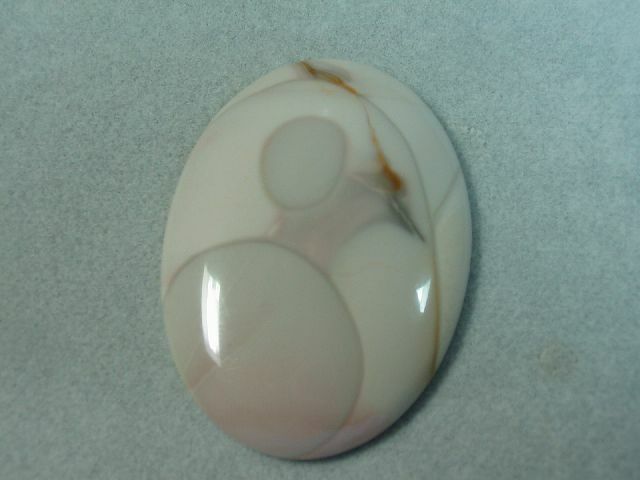 CABOCHON INDEX, LARGE STONES, PAIRS, PREVIOUS. 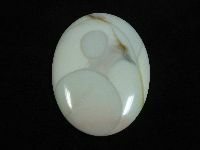 If you didn't find what you were looking for here, please check our eBay Store and search, or select the Cabochons category to find similar items. 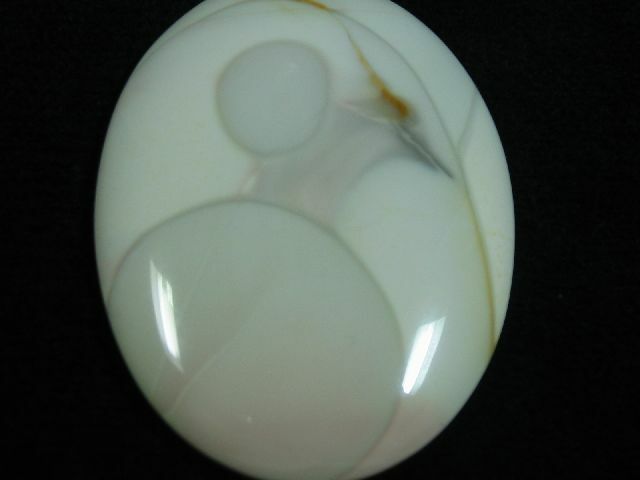 You can also contact us to find out if we have what you are looking for, but have not listed it yet.